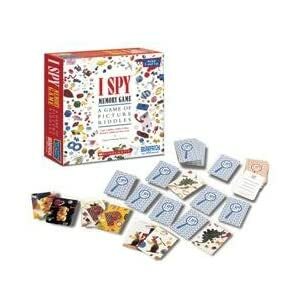 I SPY Memory Game Over 50% Off! Here’s a fun one to play with the whole family! My kids LOVE this game … and I love sharing this price with you even more! Check out the I SPY Memory Game on Amazon for only $8.95 – shipping included! The price listed above was as of 09:38am CST on June 18th, 2012. Prices and availability subject to change. Make sure you confirm the purchase price prior to purchase.